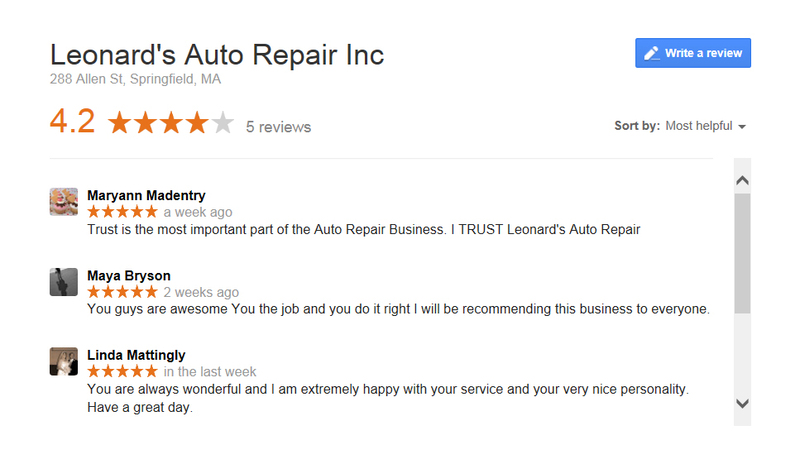 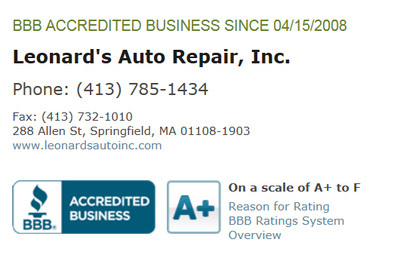 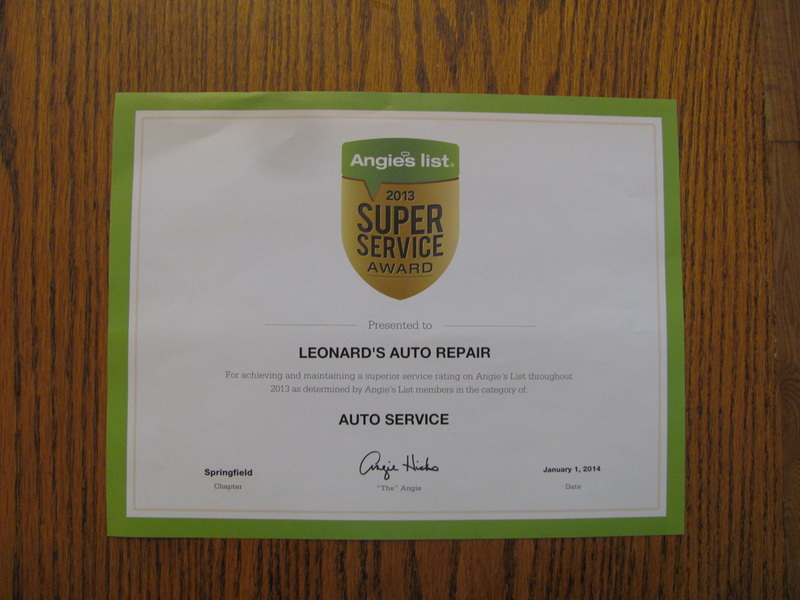 Reviews/Testimonials - Leonard's Auto Repair Inc.
Yelp reviews! 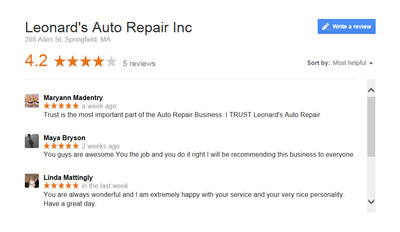 If you like us please leave a review! If you dissatisfied please email/call first and we will make it right!